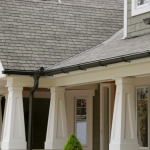 What’s the Benefit of using Asphalt Roofing Shingles? What’s the Best Kind of Asphalt Shingle? 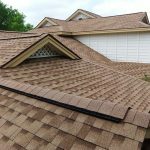 Why Are Asphalt Roofing Shingles Popular? Cost. The inexpensive cost of shingles made of asphalt beats the price of other materials–like steel, natural stone tiles or genuine wood shakes. Maintenance. Asphalt has fewer maintenance issues than stone tiles or wood shakes. Installation. Asphalt is quicker and easier to install than other types of roofing materials. Variety. Asphalt is widely available in a huge assortment of colors, pattern designs and sizes. Asphalt roofing shingles have an asphalt-coated fiberglass mat at their core. This helps them remain flexible in extreme cold. Being too brittle can compromise shingles’ integrity, durability and ability to resist water penetration. It also adds weight, which is important for the shingles to lie flat. Asphalt shingle’s top coating is embedded with ceramic granules that help protect the asphalt’s coating against deterioration from the sun’s ultraviolet rays. In many cases, algae-resistant granules are included to help inhibit the growth of blue-green algae, which causes unattractive black streaks and discoloration. If you notice that your gutters are full of granules, it might be time to replace your roof. While some granule loss is to be expected over time, too much might indicate faulty shingles. Need to find a pro for your asphalt shingles? 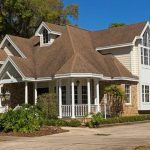 Depending on your home’s style, the roof may account for as much as 40 percent of its visual exterior. And with today’s trend of creating outdoor living spaces, you could be looking at your roof a lot more often. Your choice of style and color may reflect your personality and individual taste, but it’s always important to keep your home’s resale value in mind. Avoid materials and designs that will make listing your house difficult. Asphalt roofing shingles are manufactured in an overwhelming variety of styles and colors. It’s important to select a shingle profile that respects and complements the architecture of your home. Some profiles are straight, while others are contoured to mimic the look of random-cut natural stone tiles or hand-hewn wood shakes. Some shingles have a scalloped edge that co-ordinates especially well with the gingerbread trim and steep slope roof of Victorian-style homes. The next consideration when choosing the right shingle is color. With all the choices currently available, it’s no wonder that this is often a homeowner’s most difficult decision. Warm, earthy tones are a good choice if you want your home to blend into its natural surroundings, or if your home is in a casual, rustic setting. Monochromatic colors – black, white and grey – can add drama and classical elegance to traditional or even minimalist home designs. Lighter colors, from sandy greys and dusty browns to pastel blues, can help homeowners express their personal sense of style. Recent advances in color blending technology have created some spectacular shingle options. These can make your home stand out and boost its curb appeal. Just be sure your shingles don’t clash or compete with other exterior elements. Darker-colored shingles absorb heat and light, while lighter colors reflect it. Humid or maritime climates are more susceptible to algae growth, so look for algae-resistant shingles (AR) that help inhibit the growth of streak-causing blue-green algae. Look at your shingles in the daylight against your siding before you make any final decisions. Keep in mind that light itself has different characteristics that vary by geography. In northern areas, light has a bluish cast. In southern and southwestern regions, light takes on a warmer, reddish tone. 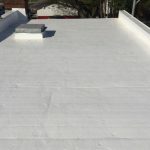 The decision to invest in a new roof is one that you – or someone who might later purchase your home – will have to live with for a long time. That’s why it’s critical to do your homework before making a decision. Remember that protecting your home against water penetration is the primary purpose of any shingle. Consider the special needs of your climate. Research your local code restrictions before making any shingle adjustments. A good contractor will help guide you, but it’s a good idea to educate yourself beforehand. For example, some communities do not allow wood shakes because they’re not fire-resistant. Areas like California and Miami-Dade, Florida, have unique requirements. Keep in mind the architectural style of your home when considering your shingle style. 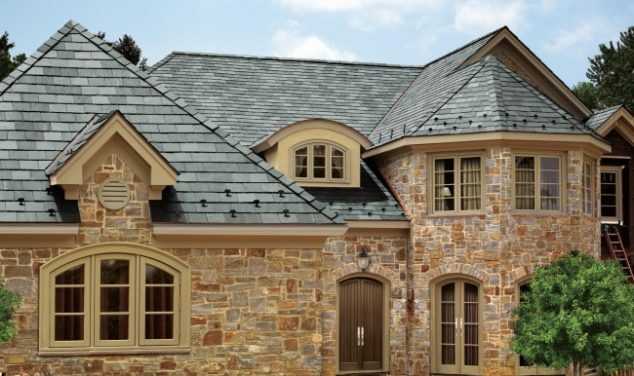 Choose a shingle profile and color that will complement your home’s exterior elements. Always view an actual shingle sample in varying light conditions before making your final selection. Obtain quotes from three professional roofing contractors before making a hiring decision. Be sure to factor personality, work history and experience into your decision – not just pricing. 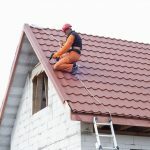 Building a new roof is a substantial undertaking. 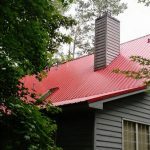 There are a lot of pitfalls to avoid, but if you use the guide above, you should have no problem finding the shingle type, style and color that best suits your house. 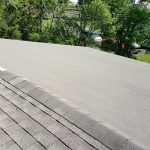 While asphalt shingle and installation costs are key considerations, finding the right pro is also an important factor. Doing so will benefit your peace of mind and potential resale value. 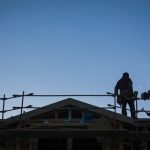 Parts of this article were contributed by our partners at IKO Roofing, a family-owned and operated asphalt shingle and roofing products company. The information I am looking for is what brand are best . I have a 25 year shingle on my roof and it has only lasted 16 years what is a good brand to use . were the 25 year shingle will last 25 years . How are shingles, branded as Atlas,sold at Menard’s rated? Need a roofing quote with good quality shingles. Prior to owning my own roofing company I have sold or had installed GAF, OC, Tamco, Certainteed and IKO shingles. Now as the owner of my own company we install by choice only one brand, Atlas. The two listed above that aren’t Atlas that I had good experiences with are OC and Certainteed. But hands down from initial quality, ease of install, overall quality and customer and warranty support nothing I have ever experienced comes close to what Atlas offers. Do yourself a favor and if you’re looking at a asphalt roof and want one that will truly last and look great for years to come look at Atlas, get the entire roofing system and you will have the best roofing experince ever. I promise you. Bigger is not always better, I’d take Wendy’s over the Golden Arches any day. Asphalt shingles don’t last long as I believe they no longer contain asbestos. In 2009 we had stripped off our roof shingles and replaced them with “IKO Premium Roofing Dual Brown Roofshake 40yr” shingles. Within 9 years, the roof had been damaged and repaired FIVE times; the first repair was required in 2014 and the last in 2018. We asked IKO to refund a fair and reasonable portion of the 2009 installation costs as their product: a) failed to deliver on their advertised 40 year expected lifespan, and b) consistent failures had caused us a great deal of stress and could have resulted in substantial damage to our home. After numerous emails between ourselves and IKO they refused indicating the replacement needed to be authorized by IKO prior to installation. In essence, their warranty requires you to purchase failure prone IKO shingles, albeit at a reduced cost. 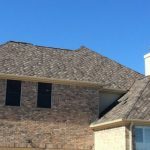 As no sane person would re-shingle their home’s roof at great expense with a product that consistently fails, and needing to repair our roof quickly to avoid structural damage to our home, in early 2018 we had the roof re-shingled with a metal product.